ResearchKit is getting better at tracking Parkinson's disease. 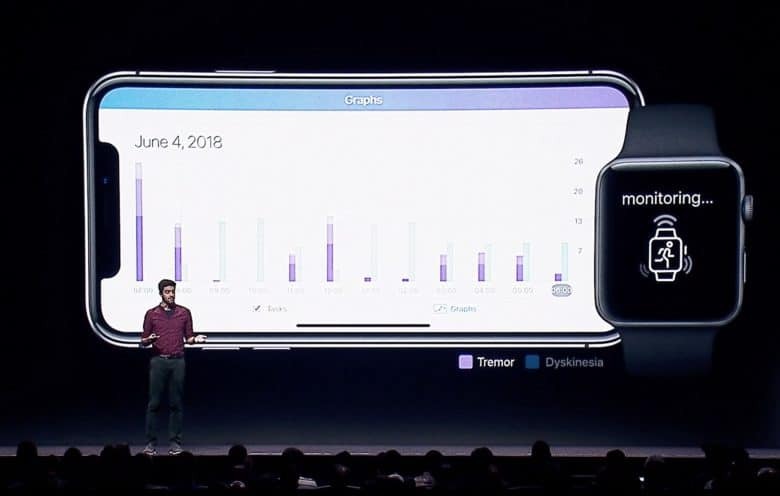 Your Apple Watch will soon be able to track symptoms of Parkinson’s disease, thanks to a new API from Apple. Details of Apple’s big software updates are still flowing out of the San Jose convention center as Apple dives into the details during sessions. During its session on advances in research and card frameworks Tuesday the company revealed it’s developed a new Movement Disorder API that could be groundbreaking for people with the disease. The new ResearchKit API is a passive all-day monitoring API that tracks two movements that are related to Parkinson’s disease. There are usually two physical tale-tell signs of Parkinson’s disease: tremors while at rest, or fidgeting and swaying, usually caused by medication that’s supposed to suppress the tremors. Apple’s new Movement Disorder API is designed to track both of those symptoms. Usually, Parkinson’s patients have to get tested for these symptoms at a clinic. This limits doctors to an incomplete picture of the patient’s condition. But with Apple’s API symptoms can now be tracked everyday all-day without any extra work by the patient. Researchers and developers will now be able to build apps that measure and track these motions. The framework allows apps to track changes to the symptoms overtime too so a doctor can see if they’re improving or getting worse. The algorithms powering the detection methods were designed and piloted by using data collected from Parkinson’s patients in clinical studies. While there isn’t an app out yet that takes advantage of the new API, it certainly won’t be long until some developers have pulled something together. ResearchKit with its API and frameworks has already been used in a number of clinical studies on everything from autism to Parkinson’s disease. As Apple Watch’s sensors get more advanced, its ability to spot early warning signs of health issues is about to get uncanny.